Exporter of a wide range of products which include high speed precision geared lathe machine kgl-2-165-40, all geared light duty lathe machine kgl-4-165-40, automatic geared lathe machine 4.5' kgm-2-215-40, semi automatic medium duty all gear athe machine 6' kgm-4-215-40, aotomatic geared head lathe machine 7' kgh-1-250-50 and heavy duty geared head lathe machine 9' kgh-2-250-50. 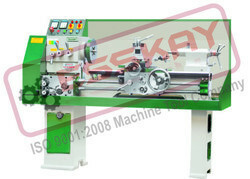 Our All Geared Lathe Machine SERIES "KGL"-extra heavy duty is in adherence with the international quality standards. Besides, we make use of high grade raw material, which is stringently tested at our premises using the latest techniques and technology. We also provide customization for our range of products to cater to the varied specifications of the esteemed clients. 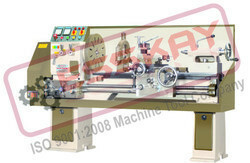 Our All Geared Lathe Machine SERIES "KGM"-extra heavy duty is in adherence with the international quality standards. Besides, we make use of high grade raw material, which is stringently tested at our premises using the latest techniques and technology. We also provide customization for our range of products to cater to the varied specifications of the esteemed clients. Our All Geared Lathe Machine SERIES "KGH"-extra heavy duty is in adherence with the international quality standards. Besides, we make use of high grade raw material, which is stringently tested at our premises using the latest techniques and technology. We also provide customization for our range of products to cater to the varied specifications of the esteemed clients. Our All Geared Heavy Duty Lathe Machine SERIES "KGEH"-extra heavy duty is in adherence with the international quality standards. Besides, we make use of high grade raw material, which is stringently tested at our premises using the latest techniques and technology. We also provide customization for our range of products to cater to the varied specifications of the esteemed clients. 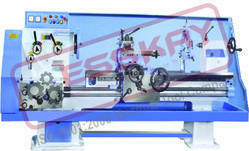 Looking for Geared Head Lathe Machine ?